~ Who Wants to be a Billionaire? ~ Any designs for Transition Displays we can use? It takes a community to make a community film. 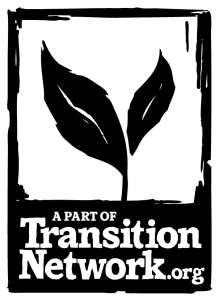 The ‘In Transition 2.0’ film production team announces its first ever crowd funding campaign! Help us raise funds to pay film makers around the world to tell stories showing what Transition looks like in Brazil, Portugal, US, Canada, New Zealand and Japan. Hear about the film’s progress and how you can get involved. There are now 93 official Transition initiatives in the USA and many more mulling. From Hollywood to Vermon and even in the oil capital Houston there is lots going on. A film about young farmers in the US, part of a larger campaign for agricultural reform. A fantasy that has us in its thrall. This working-together in the visioning looked like an energy field, the kind of energy field you sense when you stand by a hive humming with bees. Rob nearly fell off his perch when he read that the World Economic Forum stating categorically that the three key risks over the next 10 years are actually energy price volatility, climate change and economic crises. Rachel Lalchan reports on her recent withdrawal from buying stuff at supermarkets. As much of America bakes in some of the highest temperatures ever recorded and while Washington argues interminably over taxes, budget cuts and debt caps, one is struck by the unreality of it all. A stream of blog posts from our on-site bloggers, and, a growing list of blogs we re-publish from Transition Voice, This Low Carbon Life, Energy Bulletin’s economics feed and Transition US. Rob Hopkins talk at the RESOLVE conference with slides. Richard Heinberg chats about his new book The End of Growth and the causes of the economic crisis and meaningful responses to it. All over England tents are appearing in their thousands across green fields and meadows. Festivals are fast becoming a great way to get a taste of a whole variety of practical skills at the many workshops on offer. This report from Sunrise in June. « Turn Off & Switch On » is the theme for this year’s Sunrise Off-Grid. There is a jam packed programme of workshops and talks in the Tin Village, a 12 module course in the Off-Grid College, a Resilient Farms Conference examining the future of farming in the UK with contributions from Michael Eavis. Plus a host of top speakers including Rob Hopkins and Patrick Whitefield. Oh and there is music as well as lots and lots more! While the Dark Mountain Festival looks at the challenges we face from a slightly different angle from Transition, it has much in sympathy with our view on how we should respond. In it’s fourth year, this late autumn camp has more on site facilities this year and a fuller programme. So don’t put that tent away for the winter untill you’ve been to this camp in the heart of Sussex. This two day workshop is for people involved in Transition who want to develop projects in low income areas. A workshop at the Conference was framed as “Our experiences of tension and conflict: what happened? Why did it happen? What can we learn?”. A collecton of the various videos, photos, workshop write ups and blog posts from the Transition Network conference 2011. We hope that it gives you an idea of what happened and a chance to catch some of the conversations. Havant Transition Network joined forces recently with Soop Theatre Company and the Havant Literary Festival to create Bob and Doris Are Not Afraid – a light-hearted but serious play about how climate change might affect our community, and how not to deal with it. Any designs for Transition Displays we can use?